Sakon is the twin brother of Ukon. Sakon enjoys bad-mouthing the opposition, and, like the rest of the Sound Five, he constantly refers to his enemies as "trash". 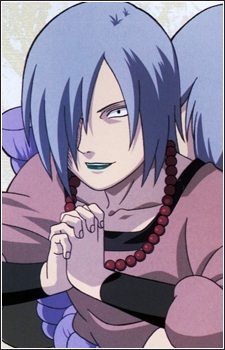 Orochimaru noted Sakon to be the fastest and strongest member of the Sound Four, traits Sakon is very proud of. When in battle Sakon likes to prolong the fight by toying with the opponent and use unnecessarily powerful techniques. This tendency of Sakon's would cause him to slow down the rest of the group whenever he got interested in an opponent.